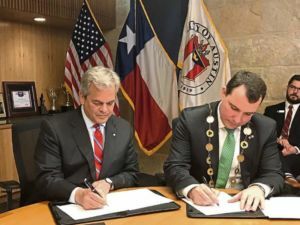 Pat Carroll was invited by Limerick Council to join its delegation to Texas where the Mayor of the City, and County of Limerick Cllr James Collins and Mayor of Austin Steve Adler, signed a Memorandum of Understanding at a special ceremony in Austin. Remember those schoolyard jokes where the Texan boasted that everything in Texas is bigger and better than everywhere else? Well, recently I finally understood how this urban myth gained traction. 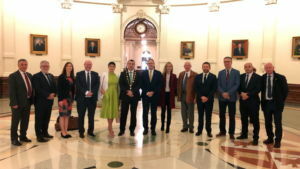 I was recently invited by Limerick Council to join its delegation to Texas where the Mayor of the City and County of Limerick Cllr James Collins and Mayor of Austin Steve Adler signed a Memorandum of Understanding at a special ceremony in Austin. The delegation, led by the Mayor, included Limerick business stakeholders; the University of Limerick; Limerick Institute of Technology; Limerick Enterprise Development Partnership; Limerick Chamber; the Shannon Group; Bank of Ireland; and the GAA. Also, the chief executive and officials from the Economic Development Directorate of Limerick City and County Council, as well as myself representing Bank of Ireland as the enterprise and community manager for Munster. Mayor of Austin Steve Adler and Mayor of the City and County of Limerick Cllr James Collins. Speaking at the signing ceremony, Mayor of the City and County of Limerick Cllr James Collins said, “I’m delighted to sign the Memorandum of Understanding on behalf of the citizens and businesses of Limerick. The agreement will allow partnerships to be formed to enable industry, education and cultural interests on both sides to capitalise and learn from each other. Apple recently announced a new 133-acre plant which will employ 15,000 – existing Austin plant has the largest number of Apple employees outside their Cupertino HQ. Fun fact: Austin has the largest urban bat colony in North America. Google, Facebook and Apple have all chosen Austin as a far more affordable location than Silicon Valley. In addition to fast becoming a major technology hub, it is also a creative hotbed for music and film playing host to the annual SXSW Festival which is a major global showcase for all three of these genres. Austin is also home of some of the world’s most recognisable corporations – Dell, General Motors, Analog Devices, Flextronics companies which have also made Limerick their home. More recent additions who have established their European bases in Limerick city centre. WP Engine and Trusource Labs. 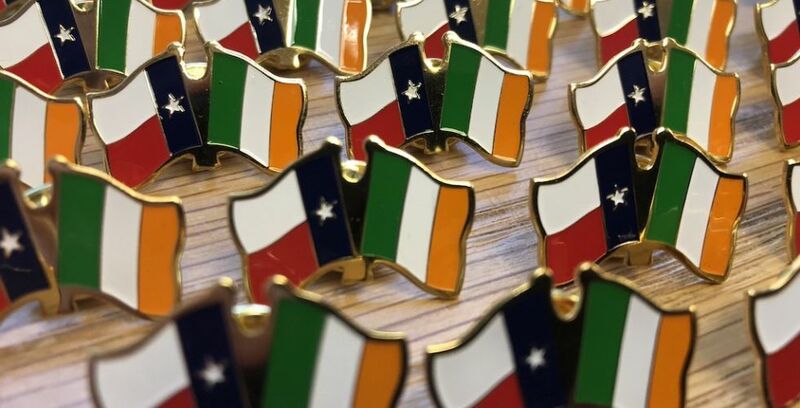 The formal bilateral trade and investment relationship envisioned by the MoU will result in the creation of new employment opportunities, expansion of foreign direct investment, an increase in the hugely sought-after STEM (Science, Technology Engineering and Maths) capabilities of workers and the enhancement of collaboration between third level institutions in Limerick and Austin.